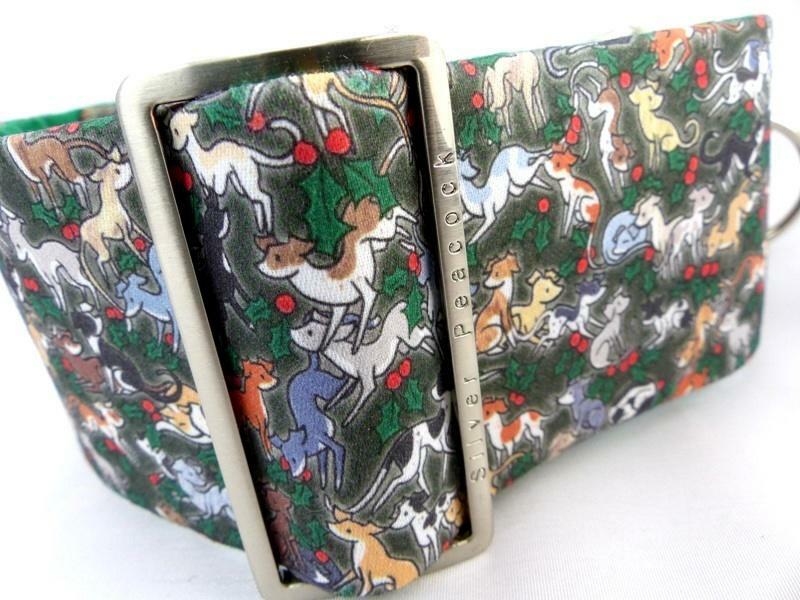 Designed by Elspeth Rose designs this gorgous collar features dozens of tiny hounds and holly sprigs on a dark green background. 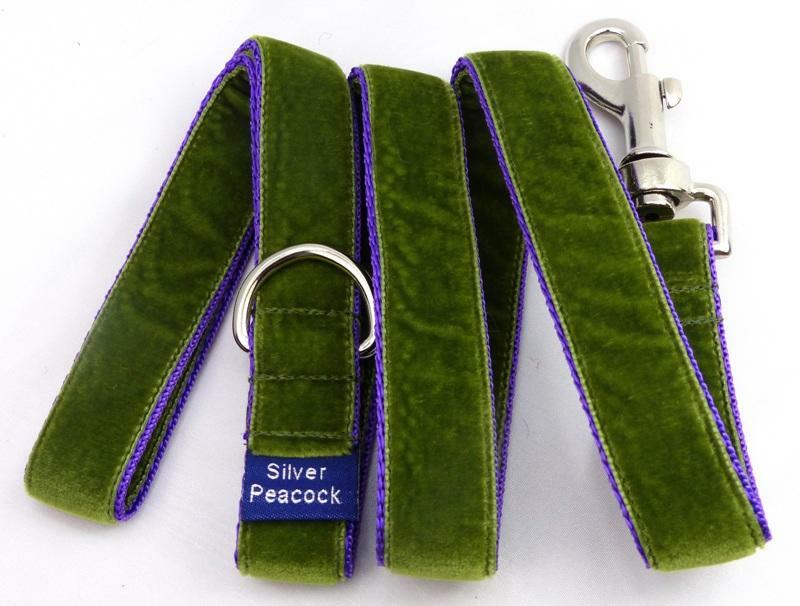 The collars are lined in complementary racing green fabric and finished with our signature robust hardwear. The martingale version has a forest green webbing section.